Sunrise and Sunset!!! 77.62+/- acres. There is a 60 foot x 80 foot shop with a 14x18 foot door and a 30 foot x 60 foot loft. 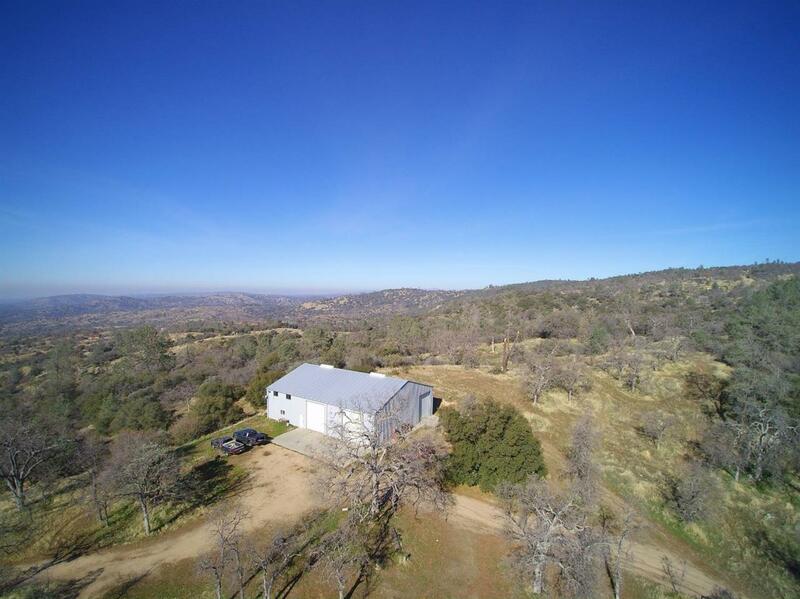 There is two house pads (each will accommodate 5,000 sqft homes per seller) There is a well with 7 1/2 horse pump and the water is to the shop and piped to both pads also 2,500 gallon storage tanks. Back up generator with propain tank. 400 amp power (per seller) There are 3 septics one with RV hookups. There is power to all and it is underground. Now I will explain the sunrise / sunset statement. One of the house pads has a sunrise view and the other has a sunset views. Also, the views go on forever.